As long as human beings have been dealing with stressful lives, there’s been meditation. Taoists and Buddhists integrated forms of meditation into their routines more than 2,500 years ago. Meanwhile, early Hindu practitioners have noted the benefits of quieting and organizing one’s mind and thoughts as far back as 1,500 BC. But even a practice as ancient as meditation can use an assist from technology. 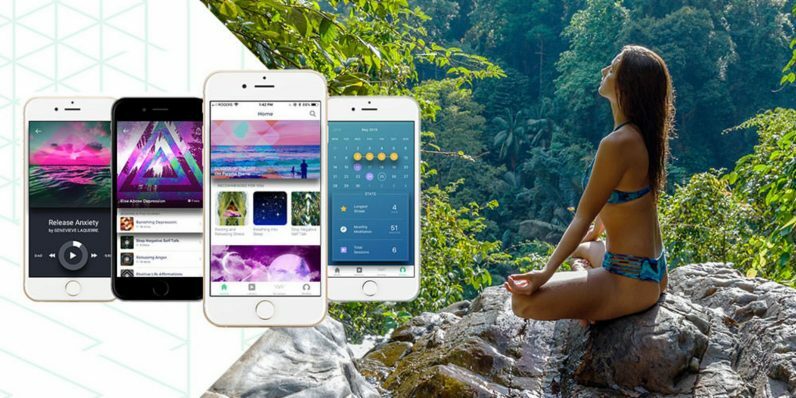 Enter Mindbliss, the app that melds age-old meditation practices with artificial intelligence to craft a holistic AND scientifically-based relaxation experience. Right now, you can pick up a lifetime of Mindbliss sessions for only $49.99 (an almost $400 savings) from TNW Deals. Mindbliss starts with understanding why you’re interesting in meditation in the first place. Whether you’re having trouble sleeping, can’t unwind from your day or need a morning pick-me-up to face the daily grind, Mindbliss’ AI algorithms create customized meditation exercises to address your specific need. Experiences are crafted to fit your schedule for single-sit sessions or longer term practice between 5 and 9 days. Whether you’re doing guided meditations, breathing exercises or 3D nature soundscapes, Mindbliss tracks your progress and helps structure a program that works for you. And in case you’re looking for any testimonials, Mindbliss users have given the service an over 4-and-a-half star rating in nearly 550 reviews in the Apple App and Google Play stores. You can start getting your mind right with Mindbliss with this limited time offer of lifetime service at just $49.99. You can also sign on for shorter terms, including 3-year ($39.99) and 1-year ($29.99) plans.